Walk in the footsteps of Charles Darwin and witness creatures found nowhere else on earth. Ecuador’s remote Galapagos Islands offer an abundance of biodiversity, including over 400 species of fish alone. 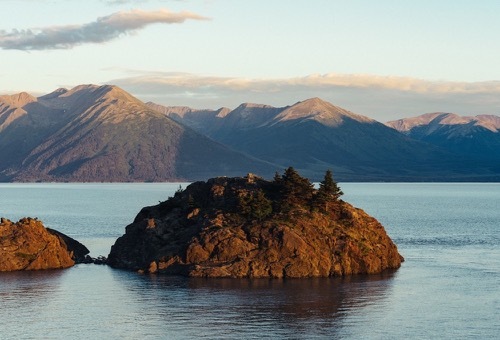 Due to its isolation, this 20-island volcanic archipelago teems with endemic species around every corner. The islands are situated where three tectonic plates come together: the Nazca, Pacific, and Cocos plates are part of the reason the Galapagos is so diverse. 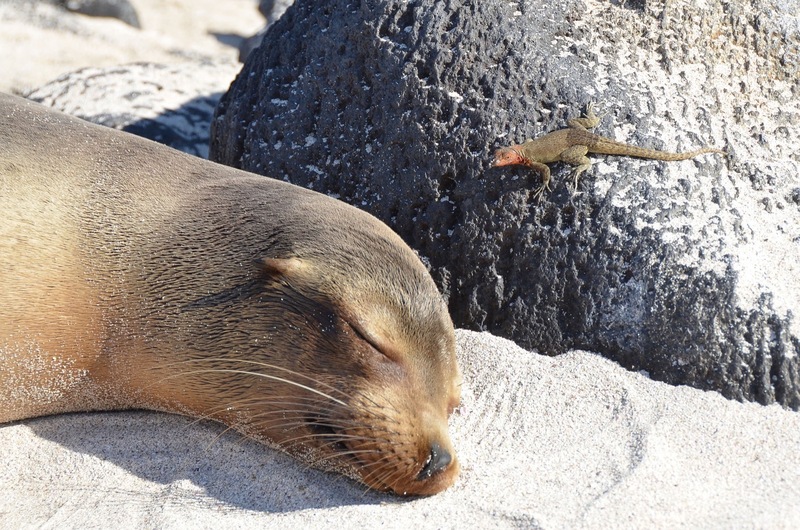 You will snorkel with rays, visit Galapagos penguins, and hike with iguanas on our newest itinerary. Day 1: Welcome to Ecuador! Begin your adventure in Guayaquil. Meet your group in Guayaquil and enjoy a local Ecuadorian dinner as a group as you settle into this vibrant epicenter of South America. Day 2: Start your Galapagos Islands adventure with a visit to the Charles Darwin Research Station. 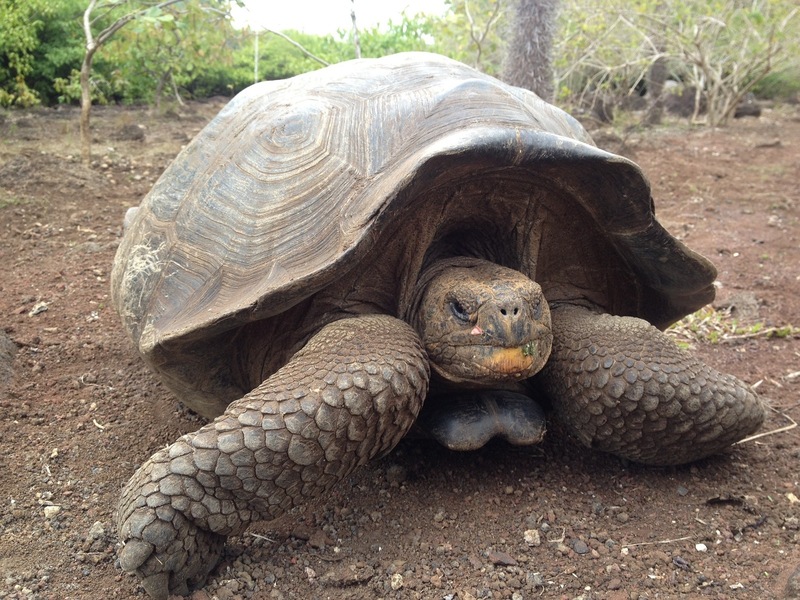 Stop in the highlands of Santa Cruz and visit Giant Tortoises in their natural habitat. Visit to The Charles Darwin Research Station where you'll learn about conservation and research efforts in the area from local researchers. Settle into your eco-lodge for a serene evening admiring the forested highlands from your own personal balcony. 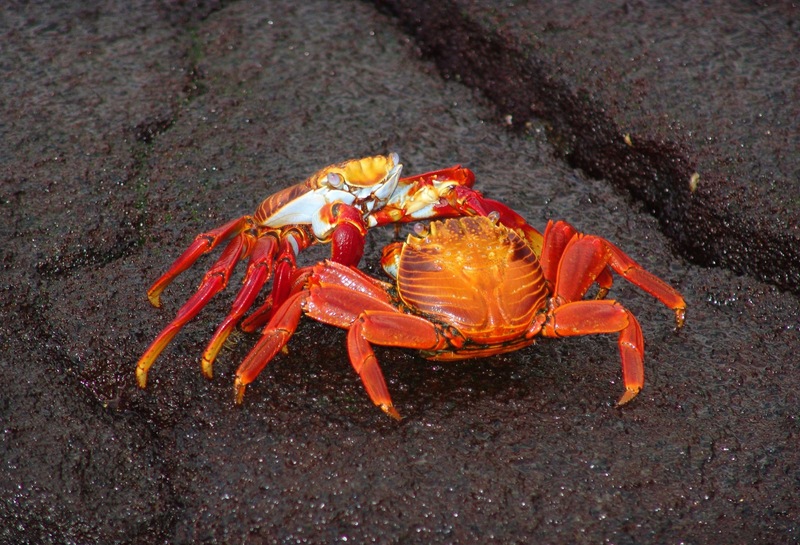 Day 3: Enjoy a wildlife-rich morning at sea searching for tortoises, iguanas, and crabs; transfer to Isabela Island. Visit a large sea lion colony and have an opportunity to snorkel with these amazing mammals. Explore areas teeming with white tip sharks, sea tortoises, marine iguanas, crabs, pelicans, and more. Travel to Isabela Island, our home for the next couple nights. Day 4: Explore the lava tunnels of Cabo Rosa before snorkeling with schools of colorful fish. Spend the day exploring Cabo Rosa, a small islet in the middle of the ocean. See lava tunnels and lava bridges under and over sea level. Admire the colorful fish and vibrant sea life that abounds. 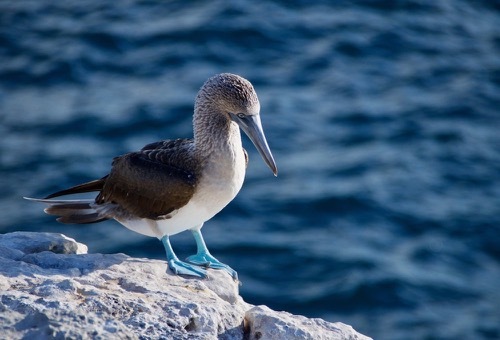 Day 5: Visit the tiny islet of Tintoreras and admire the famed blue-footed booby. Marvel at a Galapagos Penguin breeding ground frequented by blue-footed boobies. End your day snorkeling in a lava canal teeming with white tip sharks before returning to Santa Cruz Island. Day 6: Set sail for North Seymour Island where you will hike alongside the large colonies of sea birds. 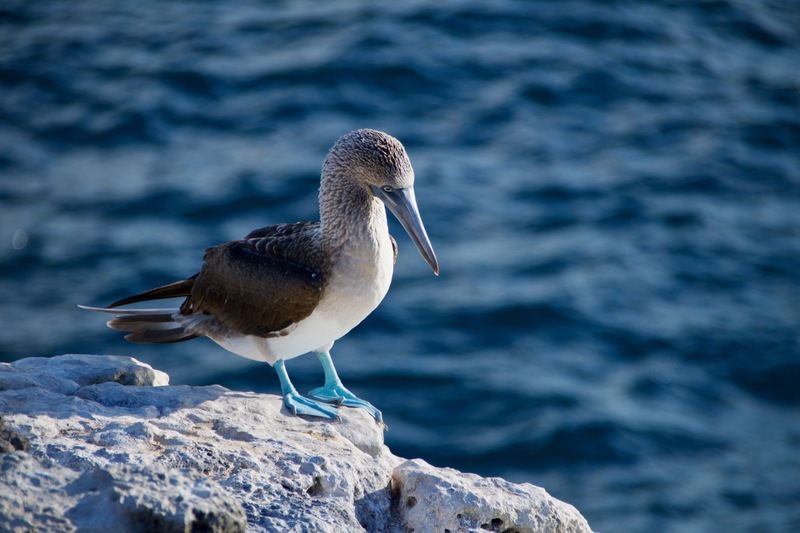 Hike trails that take you along some of the largest colonies of sea birds in the Galapagos Islands. Watch frigate birds with their enormous red pouches hanging up from their necks and spy a blue-footed booby. Swim in the sea before saling back to Santa Cruz for dinner. 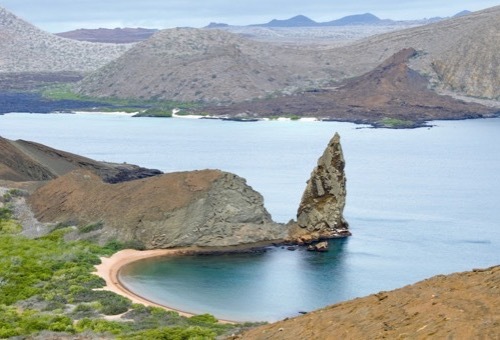 Day 7: Embark on your final sail to Bartolome Island and take in views from the top of an extinct volcano. Bartolome Island is legendary for its picturesque landscapes in all of Galapagos. Climb to the top of this extinct volcano and be amazed at this spectacular landscapes below. Explore Pinnacle Rock and the half-moon beaches that are perfect for a sunbath or snorkel with sea turtles and penguins. Return for your final evening in the islands. Day 8: Share stories with your trip mates before your return flight back to the mainland. Enjoy your final meal on Galapagos before your return flight to the mainland. Say goodbye to your fellow travellers as your journey ends. Join Executive Director Greg Lais for a trip of a lifetime! TYPE OF TRAVEL/DISTANCE:The primary activity will be walking along beaches, on rocky trails, and through towns. Your group will also have the option to snorkel, kayak, and swim in the ocean. Travel is primarily in a large passenger van, boat, or by foot. We will travel moderate distances each day, with plenty of opportunities for exploration. The hiking is not strenuous, although one should expect to walk on uneven terrain. LEVEL OF DIFFICULTY: This trip does involve some potential hiking and kayaking, but no previous experience is necessary to complete this trip. This is an accessible itinerary, but if you use a wheelchair and are interested in going please call to discuss with us. WEATHER: Weather in Ecuador will vary depending on ecosystem. The average temperature along the Ecuadorian coast is 80-90 F during the day and 70-80 F at night. The dry season lasts from June to November in the mountains and from May to December on the coast, with less humidity and temperatures more comfortable. 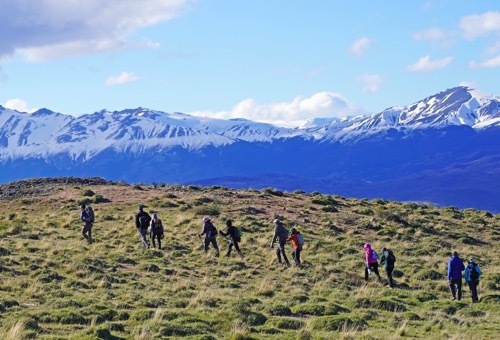 YOUR GROUP: The group size ranges from 8 to 12 participants, plus 1-2 Wilderness Inquiry staff. Each group consists of people of various ages, backgrounds, and abilities, including people with disabilities. ACCOMMODATIONS: Throughout the trip, we will be staying in small, local hotels and lodges. The accommodations are simple yet comfortable. Typically there are 2-4 people per room, matched by gender or requests to room together. In most rooms, solo travelers have single beds and couples share beds. As always, WI staff will assist participants who require additional help in every way possible. MEALS: All meals are prepared for you. You’ll indulge in typical local fare, including lots of seafood and fruit, as well as meat and potatoes. We recommend bottled over tap water in Ecuador and will have it readily available. We’ll enjoy happy hours as a group, but the purchase of alcoholic beverages is not included in the trip fees. EQUIPMENT AND CLOTHING: All you need to provide is your personal gear, such as clothing, footwear to hike in, rain gear, and a water bottle. A detailed equipment list will be sent to you upon confirmation of your participation. Additional information on entry and customs requirements may be obtained from the Embassy of Ecuador at their web site http://www.ecuador.org. This trip officially begins at the Aeropuerto Internacional José Joaquín De Olmedo (GYE), where your group leader will meet you the evening of the first day. The trip ends when your group leader takes you back to the airport at approximately ____ on the last day. We strongly recommend booking your return flight for at least two hours after your anticipated arrival at the airport to allow enough time to go through security and customs, and to find your gate. If you need assistance with your travel arrangements or wish to purchase travel insurance, we recommend Travel One, Inc. Inform Travel One that you are going on a Wilderness Inquiry trip, as they are familiar with our itineraries. You can reach Travel One at (800) 247-1311 or www.traveloneinc.com. Detailed meeting place instructions will be sent to you when you are confirmed for the trip. 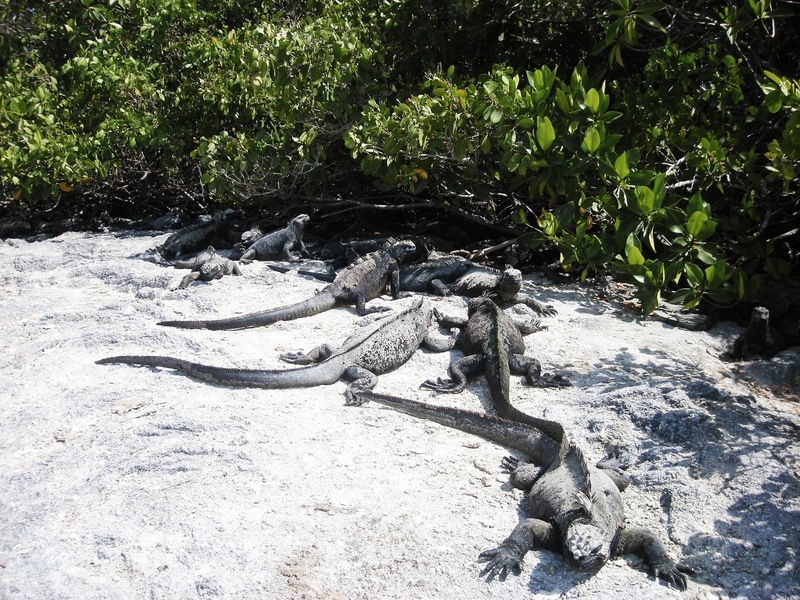 Do you have a single supplement for Galapagos Hike and Explore? Ecuador ranks among the most biologically diverse nations in the world. 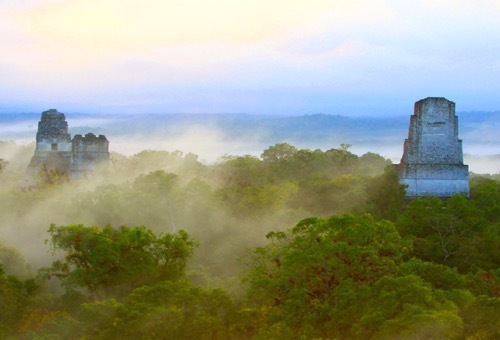 Coastal lowlands, Andean highlands, and Amazon Rainforest distinguish this beautiful country. 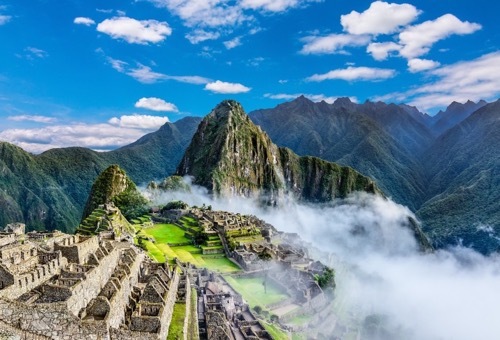 Lying between Colombia and Peru on the east and the Pacific Ocean on the west, each region of Ecuador offers spectacular physical and cultural wonders rivaled by few places on Earth. According to Conservation International, Ecuador is one of the 17 “megadiverse” countries, harboring the majority of the earth’s species. It provides habitat for 1,600 bird species, 16,000 species of plants, 106 reptiles, 138 amphibians, and 6,000 species of butterflies. Many of these species are found nowhere else in the world, like the Galápagos Sea Lion, Warbler Finch, and Lava Cactus. The ecological diversity that distinguishes Ecuador is largely determined by the four distinct geographical regions within the country—La Costa (the coast), La Sierra (the highlands), La Amazonía (the Amazon), and Región Insular (Galápagos Islands). 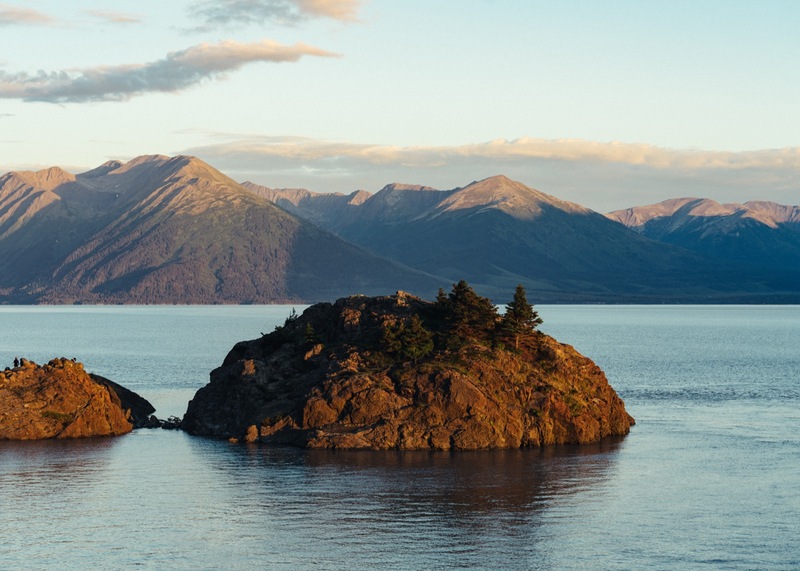 It’s a wonder that a country roughly the size of Nevada can host volcanoes, tropical jungles, deserts, fertile valleys, calm or rough seas, rivers, waterfalls, and the Galápagos Islands. Bounded on the west by the Pacific Ocean, Ecuador boasts over 1400 miles of coastline. Stunning beaches offering some of the best surf on the South American Pacific coast stretch along the coast, dotted by small ports and picturesque fishing villages. The coast and low-lying land in the western part of Ecuador generally have a humid subtropical climate driven by the ocean currents. Visitors can experience all the coast has to offer—surfing, kayaking, bird watching, fishing, horseback riding and hiking. The highlands run north to south through the center of Ecuador. The region is dominated by two Andean mountain ranges standing parallel with a chain of fertile valleys folded in between. From the scenic high peaks to colorful valleys, villages with distinct customs and heritages dot the region. Quito, the capital city of Ecuador, lies at 9,000 feet within the highlands region. UNESCO declared this historical city a World Heritage Site in 1978 for having the best preserved and least altered historic center in Latin America. Just south of Quito is the city of Guayaquil, which features one of the world’s highest active volcanoes—Mount Chimborazo. It is also considered the closest place to the sun on earth given its proximity to the equator. The largest known Incan ruins in Ecuador, Ingapirca, are located in the highlands just outside of the city of Cuenca. The site offers a historical glimpse into two of the most prominent ancient civilizations in Ecuador – the Incas and the Cañari. The ruins of the temple of the sun, which was constructed to align with the solstices, still remain at the center of the site. The Amazon basin covers just under half of the country’s entire surface area. Spreading over six of the eastern provinces, the jungle-covered plains harbor howler monkeys, sloths, and toucans and parrots. The Napo River runs through the Amazon and is a major life source and method of transportation for the tropical forest. The river’s many islands provide ample nesting areas for a wide variety of bird species. The Amazon’s waterways also support over 600 species of fish and 250 species of amphibians and reptiles. 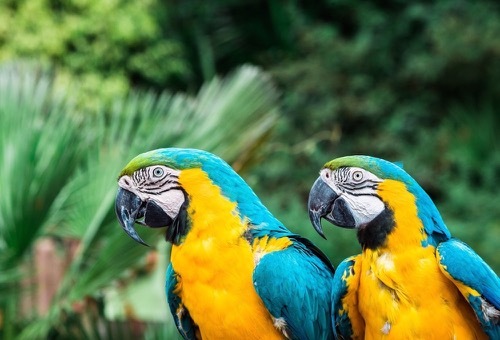 Ecuador became the first nation to legally recognize the rights of nature in 2008 when they wrote the National Plan of Buen Vivir (Good Living) into the constitution. It became a clear national priority to conserve and manage the abundant natural heritage alive throughout the land and waterways of Ecuador. Currently 11 national parks, 10 wildlife refuges, 9 ecological reserves and other areas are protected areas in Ecuador. The Cajas National Park was declared in 1996 and protects about 270 lakes and lagoons. The cloud forest in the lower parts of the park is distinguished by sharp and deeply forested mountains that are carved out by powerful waterfalls and meandering streams. The most impressive waterfall in the region is Pailon del Diablo Waterfall. Its beautiful turquoise water falls approximately 100 feet.